ThemeCurve has released Brandi One Page Template PSD, a truly one page PSD template. No matter if you use it as a photographer, travel / web design agency, nonprofit / environmental organization or even as a music / video producer. You can easily turn it into your personal website. 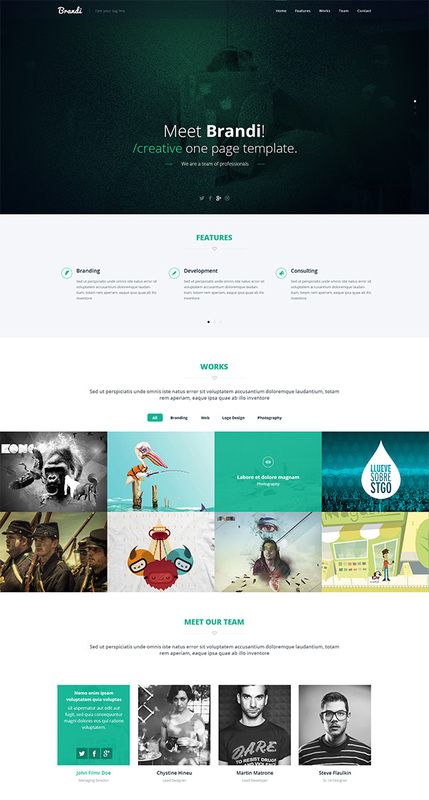 Template designed for WordPress, and other systems, with modern design trends. It has an creative Layout, crystal clear and Clean Layout! Download Brandi – Creative Multipurpose PSD template from here.